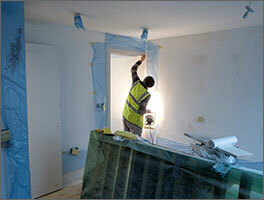 Our tried-and-trusted local decorators will apply quality paint and wallpaper to transform your home. We commit to doing an excellent job, and understand what’s important to you as the householder – that’s why we arrive promptly so you don’t have to wait about. 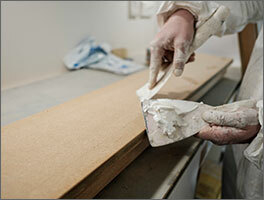 We protect your property from accidental damage by moving it or covering it with dustsheets. And we do our best to keep out of your way while we work, so you can get on with your day. You have the choice of dealing with your individual Brush Strokes decorator/s direct, right though from initial quote to finished invoice, or you can liaise with them via our central office if you prefer. Want to give your home a whole new look? Need to decorate because you’re moving or just moved? Renting or selling and want the best price? Trying to make your building watertight? Do you live in Balham? Do you live in Dulwich? Your local decorator is Albert Wojciechowski. Your local decorator is Tom Zborowski. Do you live in Rochester? Your local decorator is Andy Kot. Do you live in Chislehurst? Your local decorator is Lech.